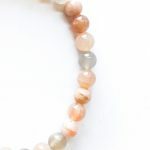 Moonstone is called the Stone of New Beginnings. It helps promote inner strength and self-confidence. 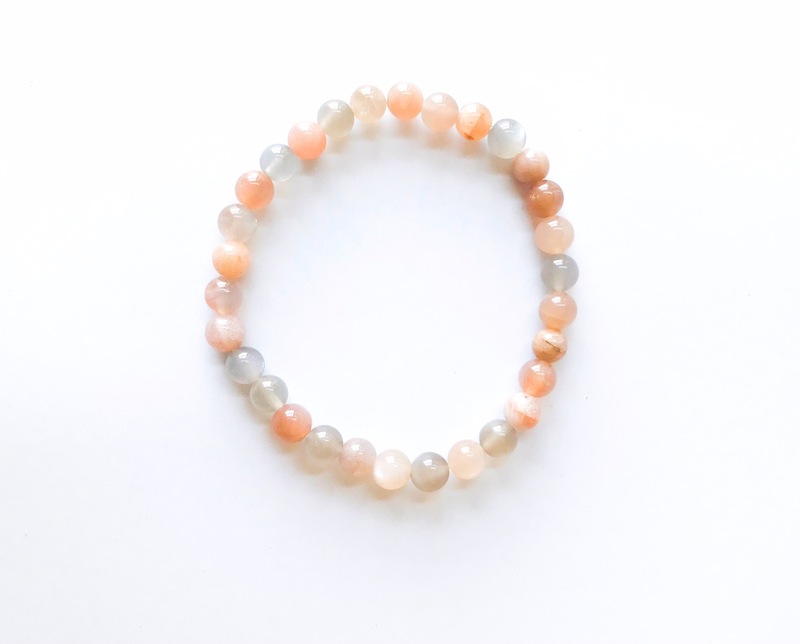 Moonstone provides emotional stability during times of stress, chaos and change. It greatly enhances psychic ability. Moonstone helps us see past illusions to get to the heart of hidden truths. It helps us explore and understand spiritual mysteries. 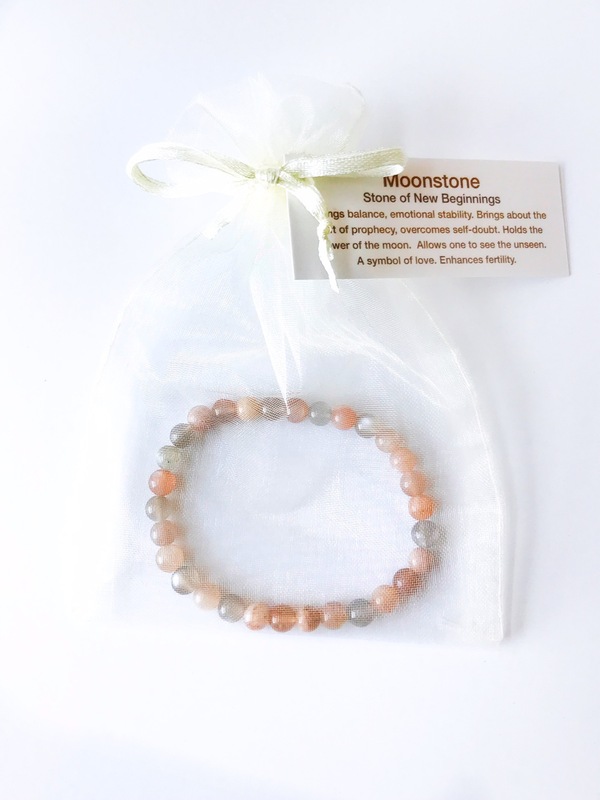 Moonstone promotes love and fidelity when given as a gift. It’s one of the traditional wedding gifts in India for this reason. Its use in jewelry dates back 2,000 years. It’s been used as a talisman for travelers – especially for travel at night and over water. Keep a piece of Moonstone in your car’s glove compartment for safe travels. 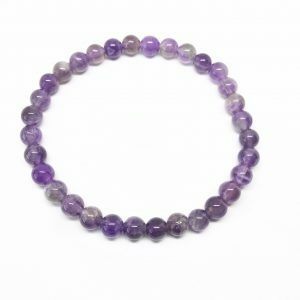 Helps you connect to the cycles and energy of the moon. A type of feldspar, Moonstone comes in a variety of colors. 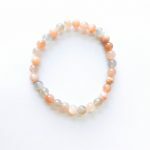 Peach Moonstone helps alleviate worries and anxieties. 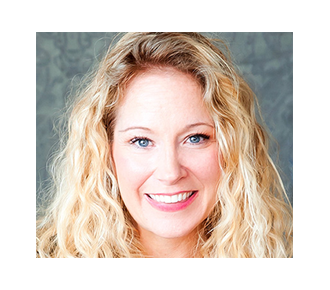 Its recommended for people to hold who are going through issues of self-love connected to their weight. It also helps those struggling with co-dependent relationships. Gray Moonstone helps increase Clairvoyance. 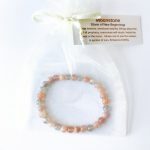 Moonstone helps activate the pineal gland and awaken the third eye chakra. Rainbow Moonstone helps enhance Mediumship and increases lucid dreaming. Black Moonstone provides strong psychic protection while doing any intuitive work. 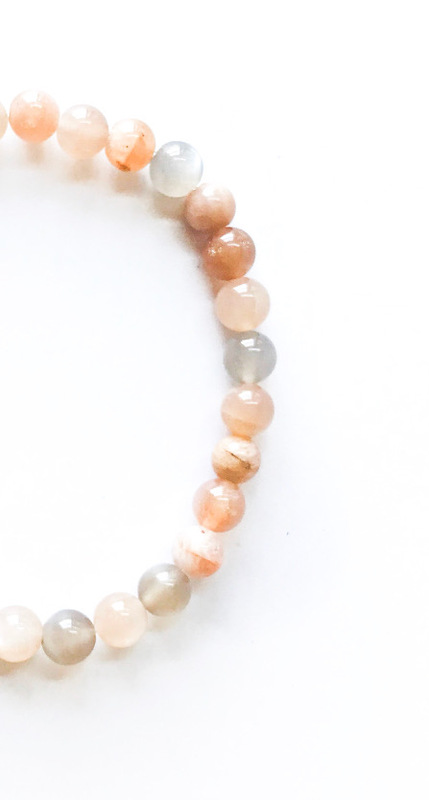 Wear your Moonstone bracelet as a reminder that it is safe for you to see, to dive into the mysteries of this spiritual world we live in and to remind yourself that you are an empowered intuitive. 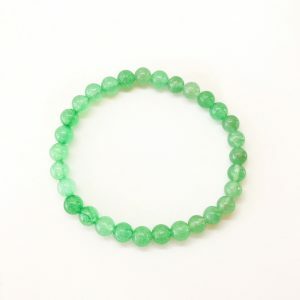 Bracelets measure 7″. Please email ([email protected]) if you need your bracelet smaller or larger.